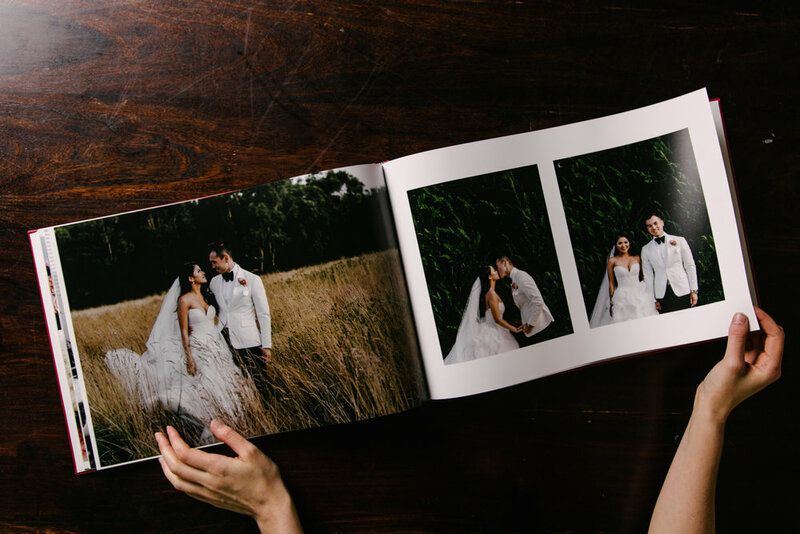 Our wedding albums are individually handcrafted using only the finest materials and feature custom cover stamping. 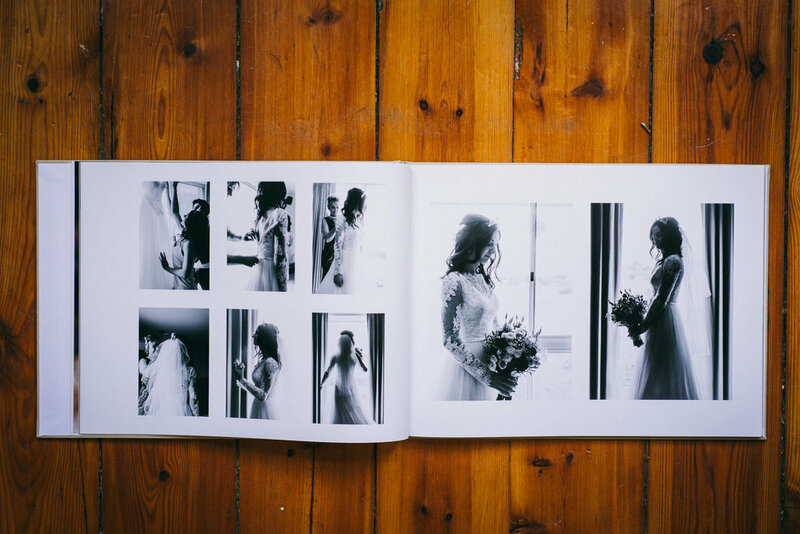 These modern, premium books exude exclusivity and luxe with thick, heavyweight premium paper. They are 16" x 12” in size and can be personalised with over 30 colours and materials including leather, buckram and cambric options. 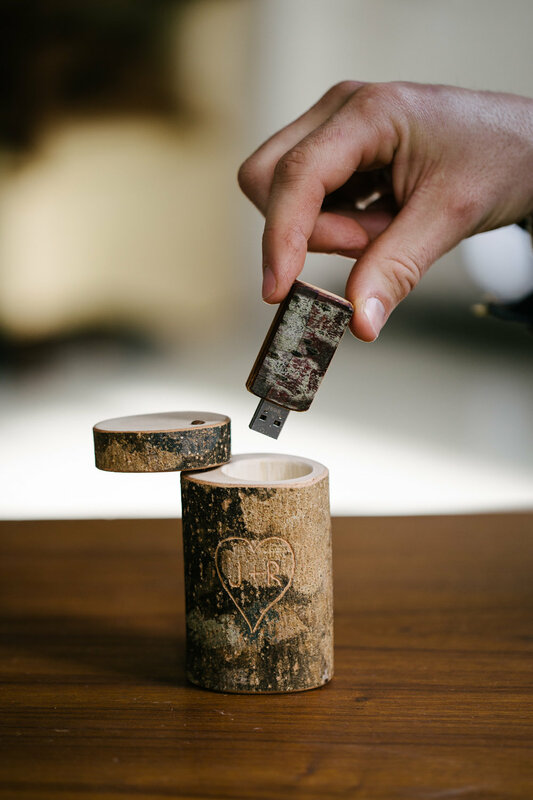 Individually hand made here in Melbourne, our unique USBs are encased in a delightful wooden box. 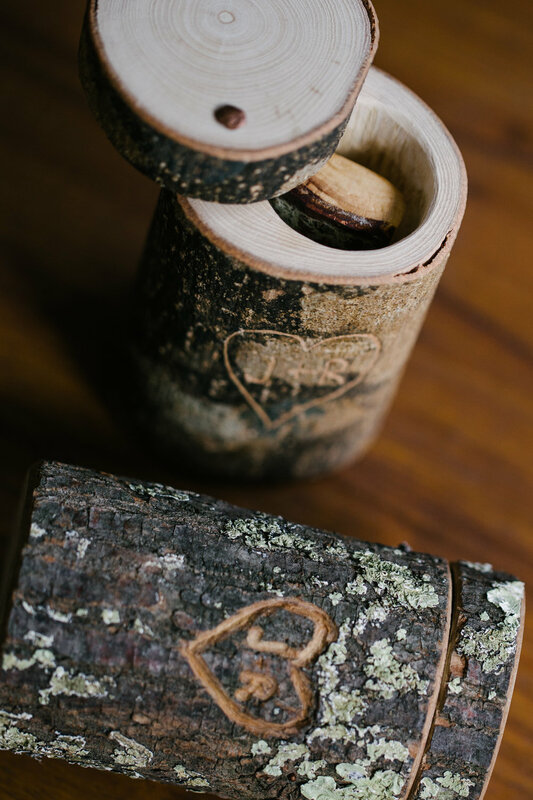 These boxes are cut from a single branch of sustainably sourced timber. The bark is left attached for a natural look and each box has an antiqued brass latch and hinge. A perfect keep-sake for all your precious memories. The wood is selected according to what's available at the time of purchase. Unfortunately we are unable to allow everyone to choose their wood type, as the creator collects these from residential properties and supplies vary often. Be assured that only pieces which are perfect are used for the job and every box will be 100% unique and beautiful.